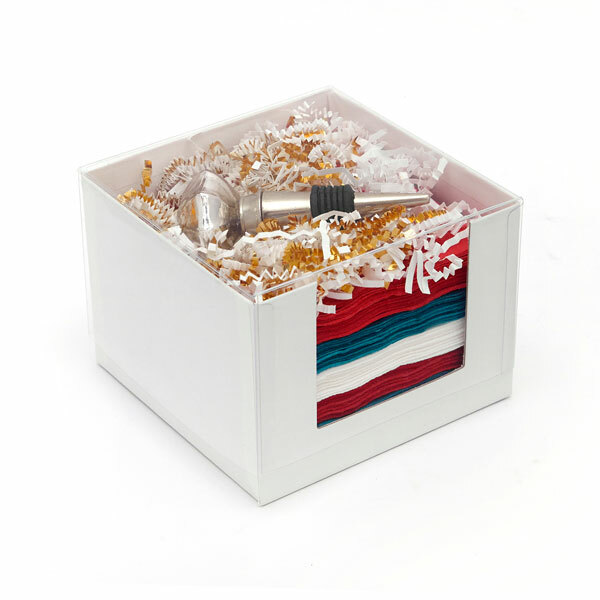 Gift giving this year just got a lot easier with For Your Party’s bar cart gift sets! Order the Holiday Wine bar cart gift set for a fabulous gift for many holiday occasions. 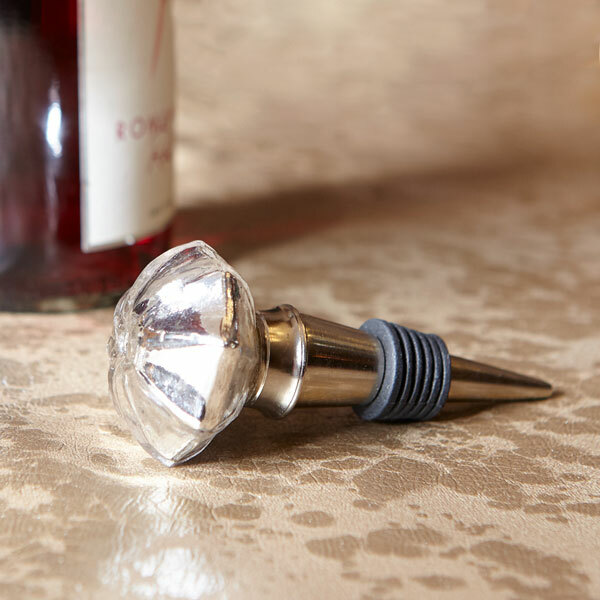 With 3 sets of trendy foil stamped cocktail napkins, each offering a holiday themed design, and a fabulous silver mercury wine stopper, the Holiday Wine bar cart gift set is sure to please even that sister-in-law that is so hard to shop for. Think ahead and order a few extra Holiday Wine bar cart gift sets to have on hand for impromptu gifting or your own holiday hosting. Need a gift in a pinch? 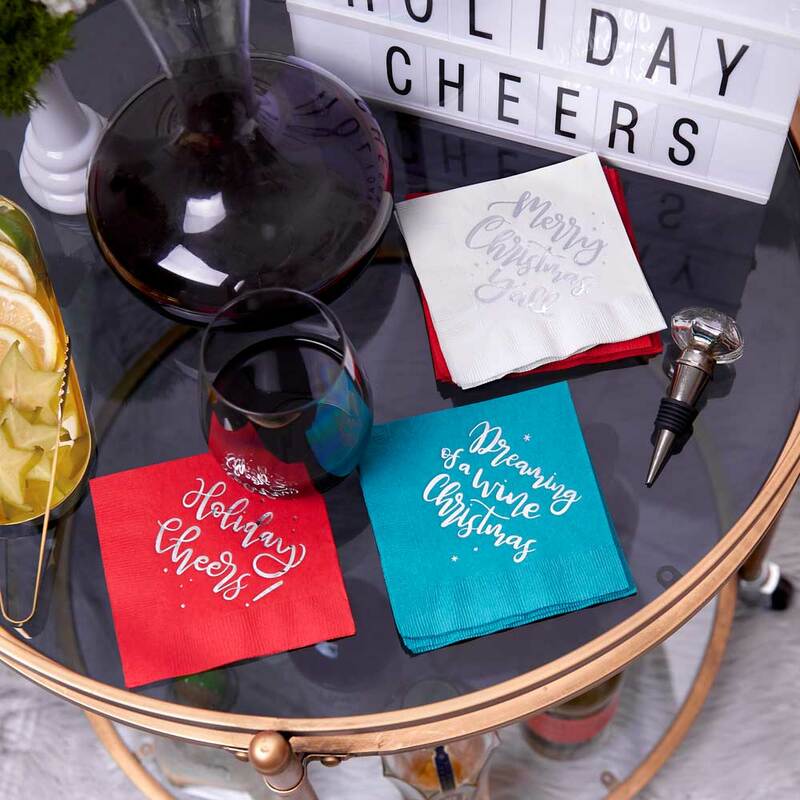 With same day shipping on bar cart gift sets, your Holiday Wine bar cart gift sets will be on their way to you before you can say “happy holidays!” This designer curated unique gift idea is a welcome addition to the world of hostess gifts and housewarming gifts. 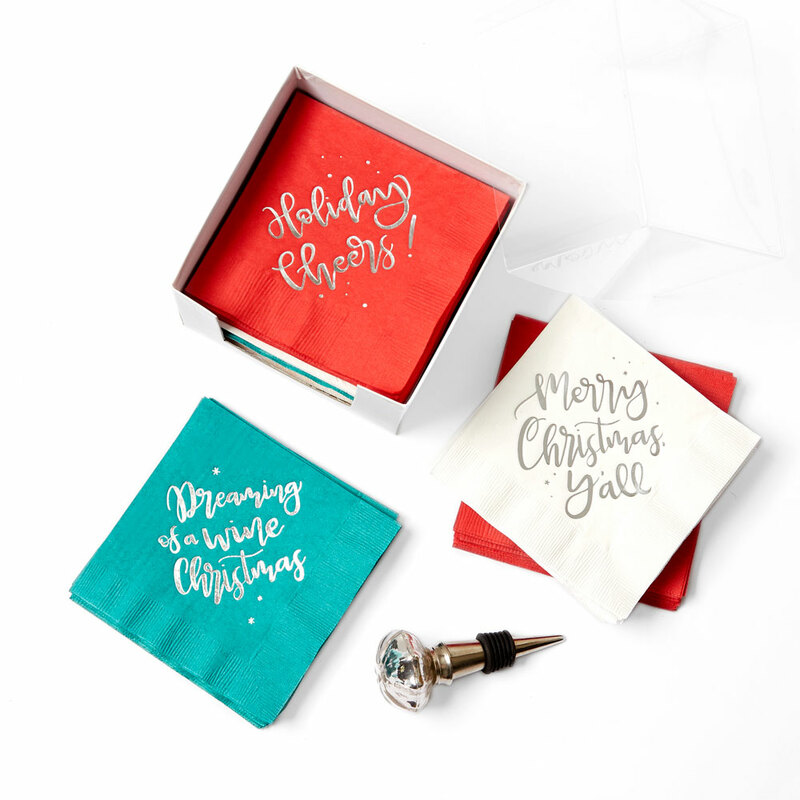 There is nothing predictable about this gift set- the trendy foil stamping, with clever holiday sentiments printed on the napkins like “I’m Dreaming of a Wine Christmas” and “Merry Christmas, Y’all.” Packaged gift ready, there’s no digging around for the right gift bag and tissue paper involved with the Holiday Wine bar cart gift set. Just sit back and enjoy the satisfaction of giving a fabulous and unique gift this year!